Effective marketing begins with a well considered and well-informed marketing strategy that helps you define – your approach, mission and business goals to outline the steps you need to consider for required benefits. The most important criteria for a business entity to include in its marketing plan is fine understanding of its targeted customers and competitors. Your marketing strategy should be planned & developed precisely because it decides the success of your business. 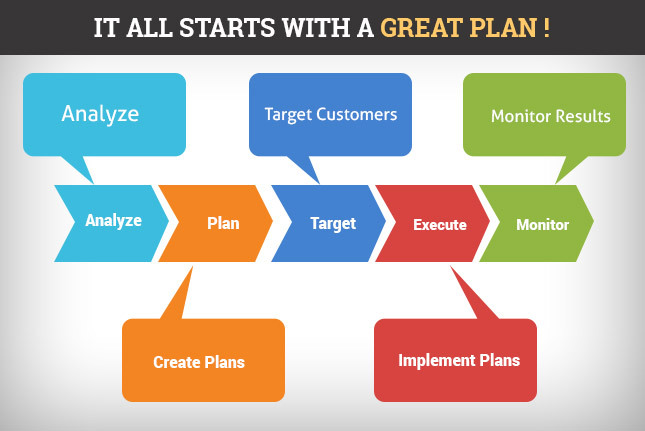 A marketing plan describes new tactics to be implemented in the current year that helps the business to achieve it's long-term goals. Provide a clear marketing action plan for the upcoming year. Establish priorities to obtain a clear vision to grab customer attention. Set measurable goals to judge the marketing performance. Set top management to examine the assumptions behind profit and loss. Form better strategies to build brand awareness. Sell their services and products easily. Identify and address potential problems. Gain benefits of new opportunities. Make better use of company resources. Save a lot of time and money and serve as a motivator. Pave the road to success by serving operational instructions. 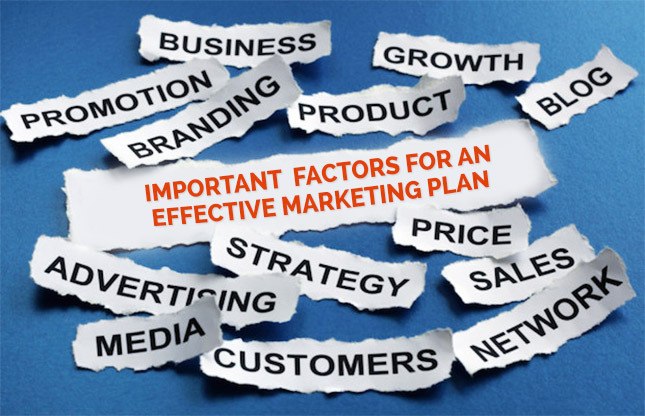 A comprehensive marketing plan is the central idea of all business plans as it defines to engage and retain more number of customers, which is the most important aspect of a successful business. A marketing plan can be said as the heart of the business, from where all other operational and management plans are achieved. 2.Focus on your goals: The goals should meet your company objectives and should be specific, measurable and obtainable. The plan should result in return on investment. 3.Pointing your target audience: By having an idea of your target audience you can easily reach them to promote your business plans. Some services are pointed for a wide audience while others target a specific market. 4.Perform research to develop new strategies: Research is a detailed feedback and without knowing these factors, you get confused about which steps to follow next. 5.Decide your tactics & Resources: Appropriate tactics help to meet the required goals. 6.Proceed your Plan: It includes creating plans to ensure the success level. These are the key factors to consider while developing a marketing strategy. It should be built in such a way to fit the specific markets you are reaching and should be made flexible to fulfill the needs of your audience. 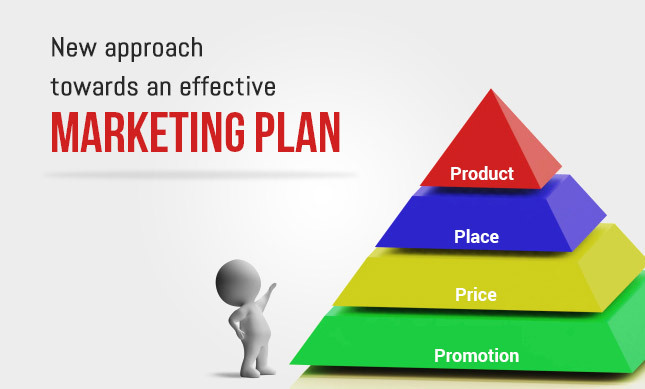 'The Marketing Mix,' are a set of tools that help an organization to gain advantages towards marketing plan. The tools include product, place, price, and promotion. 1. Product: First determine how your product is unique to others in the market and who is going purchase the product. 2. Placement: It clarifies where a product will be sold & it is important to figure out if the product is suited for the place that you’ve selected or not. 3. Price: It must be thoroughly examined during buying & purchasing process. 4. Promotion: It decides the target location where a product will be sold. Your marketing strategy should be appropriate for the product, price, and customer. The marketing mix evolved as a true formula for an effective marketing plan and it emphasis on developing a strategy that will satisfy both the customer and retailer's needs. Cognus Technology is here to help you at any point in making effective marketing plan for your business success.